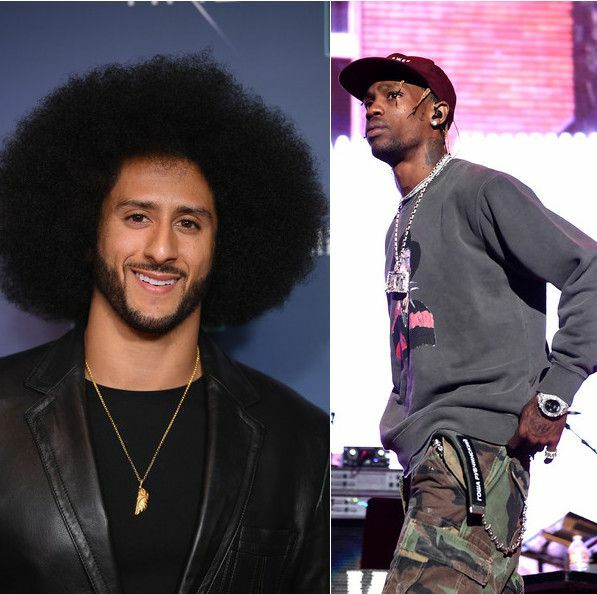 Since the ASTROWORLD rapper and the NFL had agreed to donate $500,000 to a social justice organization, Colin was cool with Travis performing for the Super Bowl, this according to media reports. But, that's the furthest from the truth. Yes, they had a conversation, but apparently, Colin never approved of Travis participating for the halftime performance with Maroon 5. By the way, rapper Big Boi has also been tapped to perform during the halftime show at Mercedes-Benz Stadium in Atlanta. Our Travis sources say he was "surprised" at the blowback and wanted to be "sensitive to the black community," and that's when he started thinking of some sort of donation the NFL might make. We're told Travis' people started negotiating a donation amount with the NFL and Travis was "willing to walk" if he didn't get what he wanted. That's fine, but maybe Travis' people shouldn't feed to media that he got his approval to make himself sound better. Atlanta producer Jermaine Dupri is participating in the Super Bowl 53 festivities. He's in charge of planning the music for "Super Bowl LIVE," presented by Verizon, which will include performances by Goodie Mob and Ying Yang Twins. The fan festival is happening in Centennial Olympic Park from Jan. 26th to Feb. 2nd, excluding Jan. 29th & 30th. The event will be free and open to the public. The So So Def honcho isn't here for the backlash either. Peep the video of him defending his involvement above. Super Bowl 53 goes down February 3rd. Which teams (that are still in the running) would you like to see battle it out for the Lombardi trophy?